There are several speeches in the world’s history that are known all over the world. Their authors truly outdid themselves and made a significant impact on many people with what they said and how they said it. So, when a student is assigned to compose a speech, he feels intimidated. He feels like he won’t be able to deliver a speech that people will remember and that will impact lives. However, in reality, this is possible. All they need to do is to follow our advice that will guide them step by step to a convincing speech creation. So, read on to find six tips on how to compose a speech that will persuade your audience and have a deep influence on them. The hardest thing about composing speeches is that you need to cover only one topic despite the temptation to talk about everything at once. You probably have heard about the TED talks. They are massively popular, and the reason for it is in the fact that speakers stay focused on one idea. It is easier for a reader to grasp the main point this way too, and that is a key to persuasive speeches. That is why, before you grab a pen and start writing the speech, make sure to realise the one idea you want to focus on and try not to step away from it throughout the whole text. It is important to know who you are talking to. Knowing the people, you are writing for can make a huge difference. The thing is that when you know whom your speech is really targeting you can see the reasons that explain why these people are listening to you and what they want to get as a reward for this time. Is there a valuable piece of information you can offer? If so, then deliver it in your speech. Being convincing can be significantly easier if you know what these people are looking for. Another important thing about speech-writing is that you should always have room for intrigue in your speech. What will keep your audience focused and interested from the beginning till the end? Is there something, in particular, they want you to share with them? If not, then you should come up with a few ideas for this intrigue. 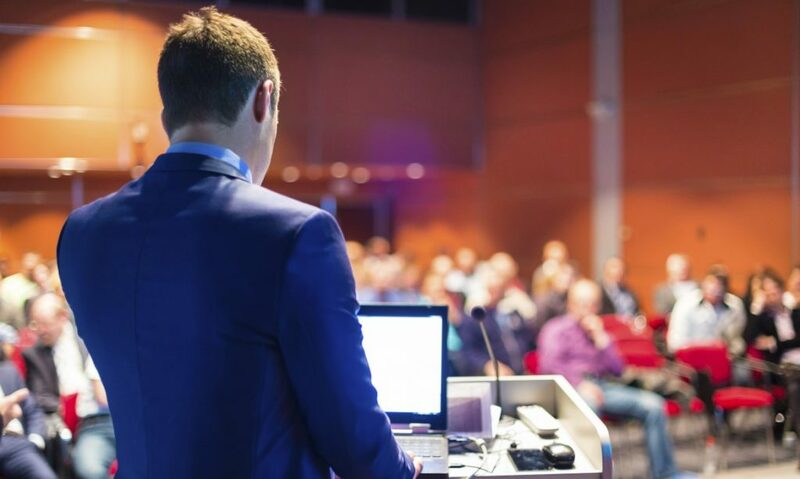 This will make you a better speaker in the eyes of the audience and will help you sound more persuasive. When talking about issues that bother your audience, you should sound as if you definitely know what you are talking about. It takes experience or at least research but if you want people listening to you to hold their breath waiting for your next word, then you should take all the time it takes and conduct a proper research to compose a decent piece. Besides, it is important to realise how deep your audience is on the topic you will talk about. Should you refer to some general issues or go into details about specific things? Study this question before you start writing. Speech writing is not about “feeding” people with useless information. It is about helping them walk through some issues. Imagine that you are telling them a story, where the development takes place in the introduction, then interesting, important things happen in the main body, there is a definite climax of the story in the end of the main section, and finally, comes the conclusion with a clear explanation of how this information can be used now. Once they go step by step through this story, they will have a distinct understanding of the story in their heads and a conviction that what you are saying makes total sense. If you are past the stage of simply considering and writing the public speech, and already have the first draft of your speech, then it is high time you proofread it. There are several points you should take into account when reviewing the speech: grammar, punctuation, and sense of whatever it is you say. Thus, try focusing on one issue at a time and revise the text. It is hard to believe the words of people who seem to be very illiterate. So, build up your image with proper writing. And also, remember to use technologies to help you here. They can save your time and boost the readability of the text. If you are still worried about an upcoming speech to write, then these recommendations will help you to conquer the fear and compose a powerful speech in less than no time.